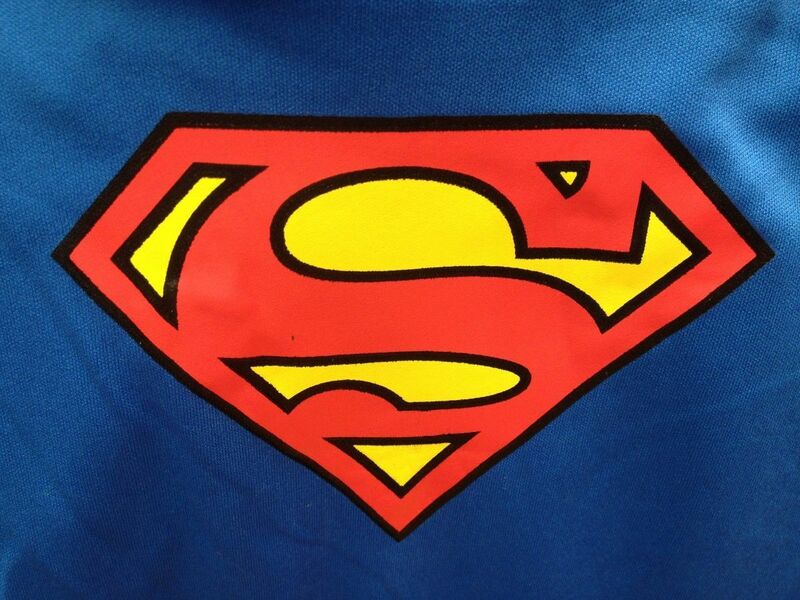 I’m feeling the need to be superhuman nowadays! More and more so as the days go on actually! When people (if they in fact do at all?!?!?) ask you what super power you would choose to have, which do you opt for?? How on earth do you decide? On a few occasions, I’ve myself been asked by others what super power I would like to be blessed with, to which, over the years I have probably been a bit boring and just reeled off the usuals like invisibility, teleportation etc etc – much like a character you might find in the Fantastic Four or in X-Men. And yes, sometimes, granted – these superpowers would be pretty amazing to have nowadays too. But again, as a mother or father of little ones, how on earth would you be able to pick just one!! I’m finding now, especially having returned to work – that I could do with all of the powers put together!! It wasn’t until the nursery pick up the other day, that I really gave this much more thought though. And I only have two kids – so I bow down to any of you out there with any more than this!! I finished work at the usual time of 5pm, fought my way through traffic jams and road works to the girls’ nursery, which is, by the way, part of the local racecourse, which is undergoing major renovations and building works at the moment. So, through the road detours, further lights, ramps, mounds and potholes – I eventually reached the car park. The nursery is set up with two entrances (not sure if this will change when the new one is built), one for babies up to two years, and the other entrance for those over two’s. So yes, I have a child at either end! I decided to park in the baby car park, with the idea of walking through this section and straight into the older kids corridor, to collect H first. At least H can walk and carry her own things I thought. That didn’t work out as I’d planned. Once I’d parked up, all I could hear was E crying. She’s only been going to nursery a few days now and is just in that ‘settling in’ period which all mums and dads (and most probably, nursery staff too) dread!! So, with that totally pulling on my heart strings, I couldn’t just walk past so I had no option than to go to the baby room to pick E up first. E spotted me from across the room – mid nappy change! – and started wailing even more! I offered to change her myself but was told not to worry, and in the end just stood next to her to try and calm her down a bit! So, once firmly in mummy’s arms, she stopped crying which gave me just enough time to chat to the staff about her day and to quickly sign her out. Once Out of the baby room, I carried her through the corridors to H (leaving E’s bag and car seat back at the baby bit which I would pick up on my way back through). Once in H’s room, I had a chat with the staff about H’s day too – all the while having to hold on to E, as each time I tried to pop her down on the floor to roam about (she used to love this prior to starting nursery herself!!) she once again screamed blue murder! So, whilst holding onto E, I had H passing me bits of artwork, letters from the nursery, party invitations her daily activity sheet and her fruit box which I just kept dropping, then I had to sign her out too and proceeded to the pegs to collect coats and bags etc. I managed to get H to carry her own bag – but she failed miserably at carrying the coat too – ok, it is rather a puffy and furry parker jacket type of thing, so I will forgive her! Once I’d got hold of, baby, artwork/day sheet/letters/party invitations/food box, wellington boots, puffy/furry coat, we all walked back down the corridor to pick up E’s coat, bag and the car seat. Although laden with items – I did at this point feel rather smug that for my first collection of two little girls – things were going quite well! I collected E’s coat and bag and walked into the office where they’d kindly been looking after our car seat for us. I popped E in the seat and strapped her in, picked up all the regalia which I’d had to leave on the floor, picked up the car seat and was about to walk out of the door when I realized I was without my car keys! I realize I had to trek back down the corridor to H’s room, as I think I’d left the keys in there, but I didn’t want to get E back out of the seat as I’d only just settled her into it. So I pick her back up, all snuggled in her seat, (which nowadays is really heavy and cumbersome to cart around! ), and trudge back to H’s room with her in tow. I find my keys – on the sign out table – pick them up, make excuses for the forgetfulness, say our goodbyes again, and head back down to the office to pick up the rest of our belongings. Once again laden with everything, I ask H to kindly get off the lovely wooden rocking horse in the corner, which unfortunately seems to fall upon deaf ears! In the end, and with more than a little persuasion and perhaps even the offer of sweets! !, she climbs down off the horse but goes over to the fish tank instead!! Why is it, that your ‘good as gold’ children, can be so naughty and mischievous when you’re in a hurry or struggling!! So, finally, H decided to listen and the three of us headed out of nursery and back home!! It was that car journey back home when I decided I could do with a little super human power you see. So, here is my list of the ones I’ve decided I need as priority!!…….. Super human strength in order to be able to carry everything plus the kitchen sink!! Teleportation to either get me and the kids to places easier or so I can just pop off and hide somewhere on my own!! Invisibility so I can hide, plus perhaps when they’re older spy on them whilst at discos!! Speed so I can run away from them or run to them quickly in an emergency!!! Mind-control so that I can put thoughts into people’s head eg you do want to sit and watch This Morning rather than Sofia the First or Doc McStuffins!! Forcefields so I can protect my family from anything nasty that lurks out there! Self-duplication for obvious reasons surely! Lots to get done, not enough of me to do everything!! And just a couple of others I might chuck in for good measure would be …. Tentacle Woman – because I find I need about eight arms to carry/do everything – not because I want to look like an octopus!!!!! ‘Eyes in the back of your head’ Girl – as there’s always some sort of mischief going on when your back is turned!!! So there you have it – if only I could be superhuman! Or perhaps its just a case of learning to be super organised!! Previous Post The Teeny Tiny memories…..
Next Post Childhood vs Technology? Aah, that all sounds very familiar!